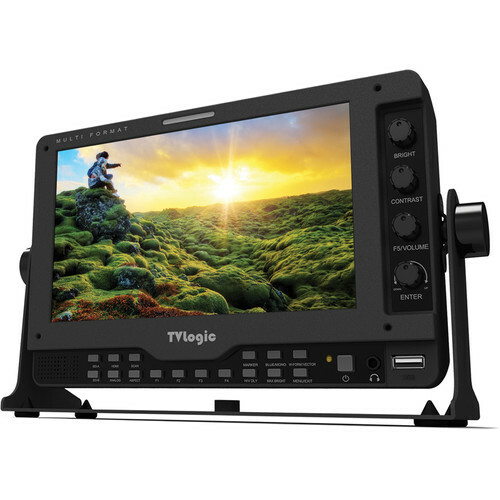 The TVLogic LVM-075A is a 7″ field and studio monitor featuring a 1080p display, 170° wide viewing angle, and professional broadcast functionality. It has built-in 1D LUTs that convert C-log and S-log 1/2/3 input signals to Rec.709, so you won’t have to load an inline LUT to see Rec.709 correctly. In addition, it offers advanced monitoring features, including Waveform and Vectorscope. 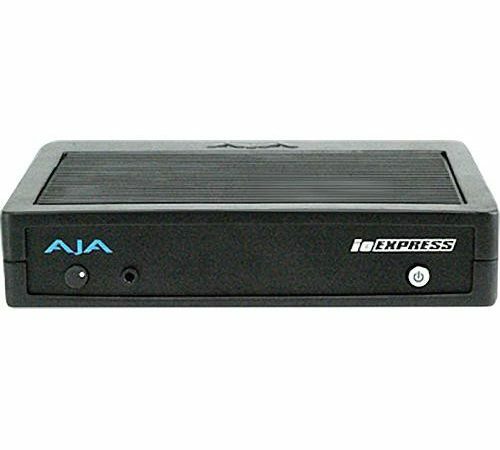 It has 3G-SDI Level A/B inputs and a loop-output, HDMI input and output, and three RCA inputs that support component video, up to three composite inputs (switchable), an S-video input, as well as an RGB D-TV input. Brightness is 600 cd/m² and contrast ratio a sharp 800:1. Easy-access brightness and contrast dials, as well many control buttons and four assignable function buttons, are all neatly arranged on the front panel. The housing is a lightweight but durable magnesium alloy. The included Camera Mount Support is an accessory that plugs into the sockets on any of the four sides of the monitor and provides a 1/4″-20 mounting thread that allows attaching to articulating arms and other 1/4″-20 mounts. The monitor is fairly slim, under 2″, and weighs only 1.4 lb. 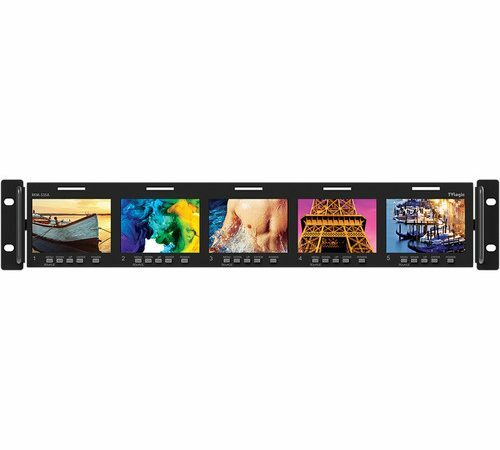 TVLogic monitors support color gamuts that conform to the ITU standard and match EBU/Rec. 709 specifications for HD broadcast video, allowing for accurate and standardized color reproduction. 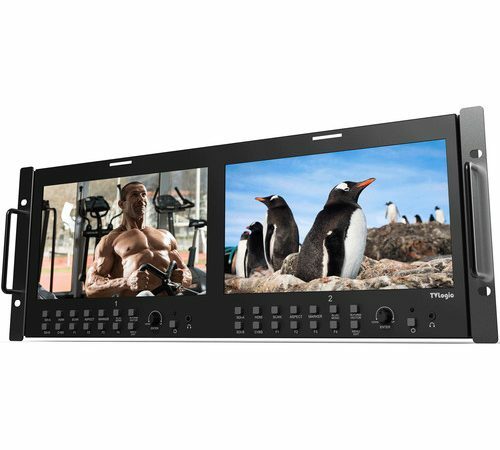 TVLogic monitors are field upgradable using an optional handheld upgrade tool that quickly and easily loads firmware updates into individual monitors. All standard feature upgrades and firmware updates are free for a period of two years to users who update via the handheld upgrade tool. ‘Observer’ is free wall monitor management software. 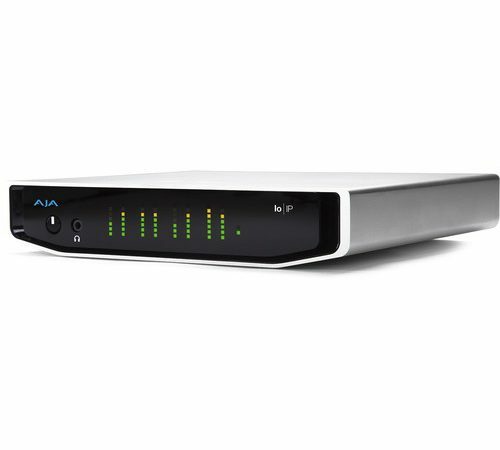 It provides you with comprehensive control over multiple monitors via Ethernet or RS-422. Turning the power on and off, and controlling the OSD menu or short cut keys can be managed on the user’s PC. Observer also provides firmware upgrade functions, which are only available via an Ethernet connection. TVLogic monitors are calibrated prior to shipment for optimal brightness, gamma, and color temperature measurements. With use, however, backlights age differently, as do OLED phosphurs. So, TVLogic also offers a free TVLogic Color Calibration Utility that automatically realigns your monitor for accurate color reproduction. Four different measurement probes are supported that cover various requirements of sensitivity, speed, and budget. TVLogic recommends the Klein K-10A probe as it offers both fast and highly accurate calibration as well as broad compatibility with the entire TVLogic line. Additional supported probes include the X-Rite i1Display Pro by TVLogic OEM (included with TVLogic Color Calibration Utility Software), as well as the more advanced Konica Minolta CA-210 Color Analyzer and DKTechnologies PM5639. TVLogic monitors integrate proprietary Advanced Digital Signal Processing Algorithms for improved video processing, scaling, and deinterlacing and accurate picture reproduction for every monitor. TVLogic’s advanced automatic alignment technology ensures matching displays that are calibrated to precise Rec. 709 (=ITU-R BT.709) specifications.